Sometimes, it can be hard to forget that the goal of any change initiative is to make itself obsolete. You want the change to become part of the day-to-day culture and process of the organization. The processes and attitudes that at first engendered resistance are adopted and incorporated into how the business gets done. Of course, this doesn’t happen overnight. And you can’t go straight from where you are now to where you want to be. There has to be a journey. The key is to not be sidetracked by the process of change. A good example of this is in a case study I wrote called A Roundabout Path to Increasing Employee Suggestions – the roundabout part is exactly what I’m talking about here. Unfreezing – We started a steering committee separate from the executive team to collect and manage ideas. We challenged the concept of paying for ideas. Changing – The steering committee collected ideas, and was proactive in the response and tracking. We started a weekly newsletter to keep idea-generation and problem solving at the forefront. Idea submission levels increased dramatically. Freezing – Managers started holding regular meetings with their direct reports to identify and discuss opportunities for improvement, and to brainstorm on ways to address the issues that came up. The number of ideas, maintained by managers in a central database, increased even further. If we had stopped with the centralized suggestion box as the final way for employees to submit suggestions, then we wouldn’t have followed through with the ultimate purpose of the change program: to increase innovation, not because employees submitted more ideas, but because managers asked for and valued them, and involved their teams in solving business problems. 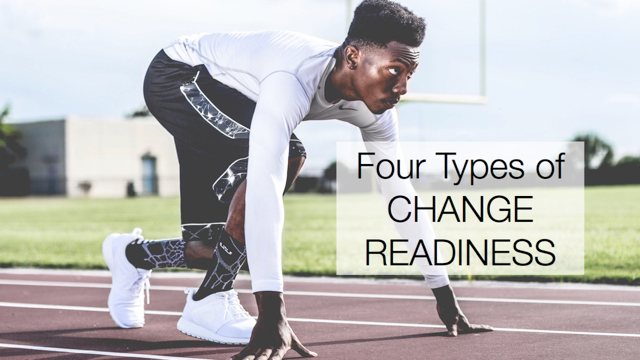 Bottom line: It’s important to not get stuck in the change step, and keep in mind the final state and ultimate mindset change that you are going after. Plan to make your change initiative obsolete. Inquiry: What will your organization look like when your initiative dissolves? This post is also featured at Tenacious Tortoise.